View the Business Loan Application and sample cash flow statement. Contact a loan officer for more information at (605) 698-7654 or view the frequently asked questions. Free business assistance is available to GROW South Dakota business borrowers. Ongoing one-on-one consulting is offered for cash flow and sales analysis, pricing, marketing, and customer service regardless of the size or maturity of the business. 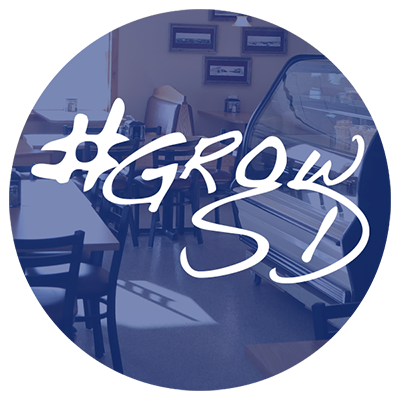 The Small Business Development Center offers no cost confidential business management consulting services to support potential and existing businesses in South Dakota. The Center assists clients in developing their business plans, preparing financial projections, or addressing other issues the small business person may face. The Center also provides basic business training to help small businesses become more successful. The SBDC is located at 416 Production Street North, Aberdeen, SD 57401. Phone: (605) 626-2565; Fax: (605) 626-2667. Visit their website, sdbusinesshelp.com, for more information.